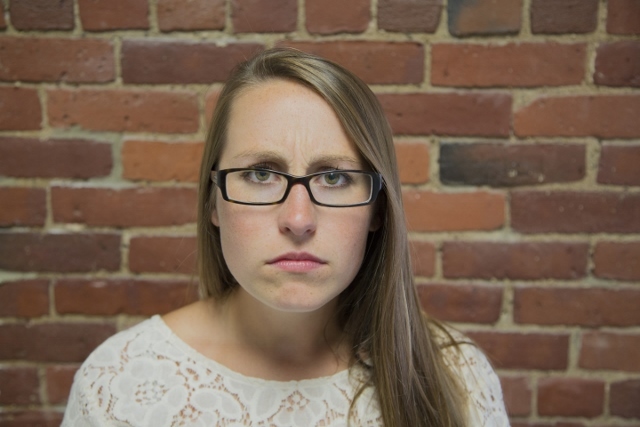 Does this person look receptive to your engagement outreach? What is keeping her from being receptive? Fewer than half (47%) agree there are no substantial obstacles to getting their job done well. Slightly more than half (53%) don’t feel their organization makes it possible for them to have a healthy balance between work and personal life. Just under a third (30%) say they’re bothered by excess pressure on the job. Just under half (47%) believe their supervisors don’t have enough time to handle the people aspects of their role. Under one-third (32%) say their organization does a good job of providing opportunities for advancement. Only 37% agree their senior management does a good job at developing future leaders. Just under half (49%) say they have trust and confidence in their company’s senior leadership team. Certainly there are some communication issues embedded in these results. I suspect many organizations offer the resources to removing “obstacles to getting their job done” and offer paths to career advancement. But an unengaged worker does not rouse him or herself to go out and seek these resources, so the organization must take the initiative in spreading the word about such opportunities. Are you managing tasks, or leading people? Do you prefer tasks at your desk to interacting with your people? Are you “tackling” a bunch of solo tasks first every day before getting out to interact with your subordinates? Who or what is distracting you from your critical leadership responsibilities? Sit down with your boss, examine all the obligations assigned to you and find out what bureaucratic assignments can be eliminated or de-emphasized to free up time for leadership opportunities. If you serve as a manager within any organization, you cannot achieve great things without a fully engaged team supporting your mission. And you are the one responsible for solving the problem of poor engagement within your area of responsibility. Explore how to do that in more depth. Start here. How do you strike a healthy balance between leading people and managing tasks in your job? Do you have the right to demand more time (make a priority of) the “people aspects” of your job? What gets in the way of you achieving that objective? *Not really much competition in our view: As many of you have experienced, we deliver better ROI at a lower cost, and guarantee to meet your expectations. None of our competitors offers a guarantee. Find out more here.